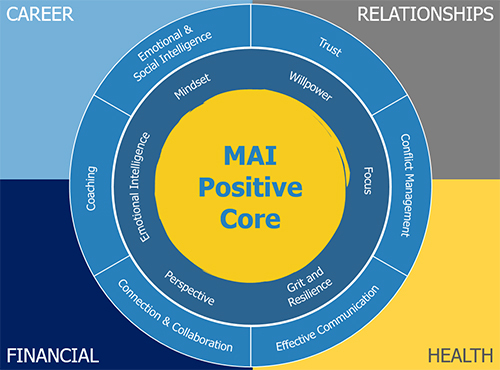 MAI Positive Core™ gives our clients an immediate understanding of how they prefer to work and communicate and provides effective language to describe themselves. They receive insight into how they might be perceived by others, and gain clarity on why others might behave the way they do. Emergenetics defines the patterns of thinking and behaving that have been shaped by a combination of genetics and life experiences and provides insight on increasing your effectiveness and productivity. Emergenetics is powerful on a scientific, statistical scale as well as on a real-world practical level. 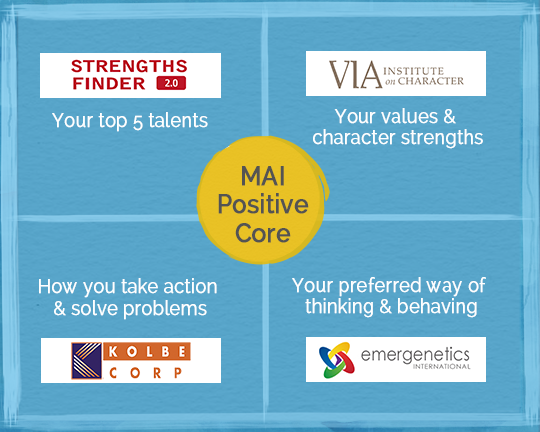 Values in Action Inventory of Character Strengths (VIA-IS) – A self-report survey that measures 24 positive traits or values. The questionnaire takes approximately 30 minutes to complete and provides a printable report identifying “signature strengths.” Signature strengths are positive traits or virtues that a person owns, celebrates and frequently exercises. Based on a 40-year study of human strengths, Gallup created a language of the 34 most common talents and developed the Clifton StrengthsFinder assessment to help people discover and describe these talents. In 2001, the initial version of this assessment was included with the best selling management book Now, Discover Your Strengths. Like the Capacities of Self-Mastery these Capacities of Leadership and Influence can also be developed through a combination of gaining insight and taking action. Emotional intelligence is the intangible “something” in each of us. It affects how we manage behavior, navigate social complexities, and make personal decisions that achieve positive results. 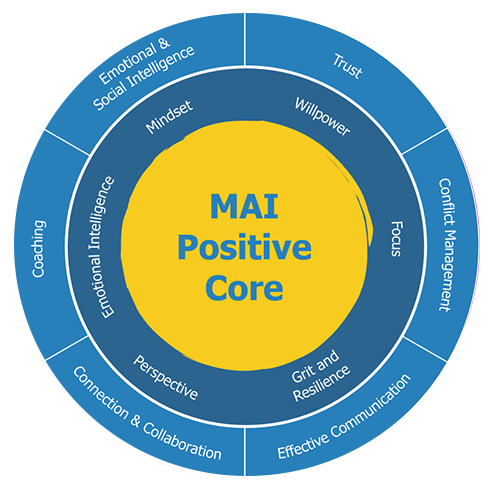 Emotional intelligence is made up of four core skills that pair up under two primary competencies: personal competence and social competence. It is the ability to recognize and understand emotions in yourself and others, and your ability to use this awareness to manage your behavior and relationships. The TKI has been the worldwide leader in assessing conflict-handling behavior for almost forty years. It is a self-report assessment that allows you to discover whether you might be overusing (a high score) or underusing (a low score) one or more of these five conflict-handling modes: competing, collaborating, compromising, avoiding, and accommodating. Many of us are familiar with performance reviews, but may not be as clear on the role of 360 feedback. Performance reviews are usually conducted annually, and largely reflect the input of an employee’s direct supervisor—a single perspective. While those reviews are important, they often fall short in providing feedback that leads to the professional development of the employee.